Tonight’s podcast is from the Traditional Latin Mass for the Supper of the Lord (Cena Domini.) 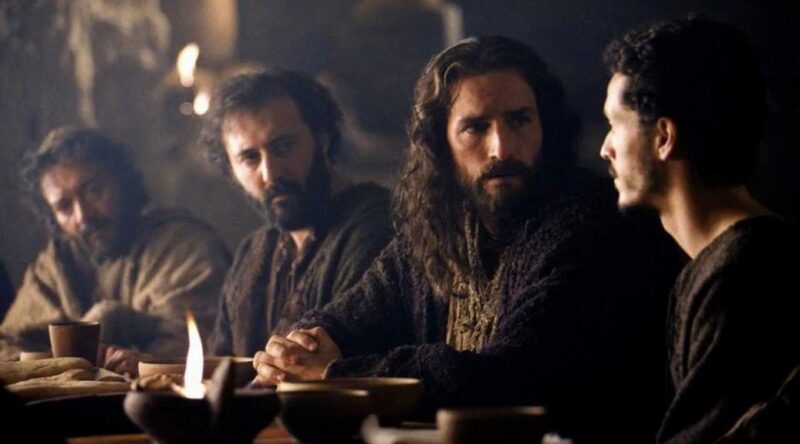 This sermon is about the connection between the Holy Eucharist and the Holy Priesthood, and why Jesus transfers His suffering and leadership to His priests. We will see that both the leadership and the suffering of priests are for the life of the world. Spoiler alert on Rogue One for the second half of this blog post. Why did Stephen die? The obvious answer is out of love for Jesus Christ. In fact, every martyr dies for love of Jesus Christ. But there’s a second reason that is not as obvious or ecumenical: Stephen died for the full deposit of the faith. “Deposit of the faith” is not a romantic term but we should face the facts: Most martyrs of the early Church (especially in the Byzantine East) died for the transmission of the deposit of the faith to remain pure against heresy. Think about it: If the early Catholic martyrs of Rome and Palestine and Byzantium had not died to maintain the purity of the Apostolic Christian faith, there would be no Catholics. Actually, there would be no Orthodox or Protestants. There would be no Christians. It’s quite a fragile system of Apostolic succession that God put in place. Do not think that any particular heritage or bloodline is the sole guarantor of your Faith. For example, no English or Irish Catholics reading this post would be Catholic if Italians like St. Gregory the Great had not sent missionaries to the isles up north. Gregory was born in Rome, and he himself owes his faith to more individuals than Christ: He would never have been baptized a Catholic, had not the Roman martyrs for hundreds of years before him maintained the courage under fire to keep the pureness of the faith. Pope St. Gregory the Great learned about Catholicism only because it was preserved by the martyrs of the Roman empire for a full five centuries prior to his own baptism. 2 Maccabees chapter 7 relays the account of the martyrdom of a Jewish woman and her seven sons. They die not for a pure emotional love of God but to keep even the smallest of dietary laws. 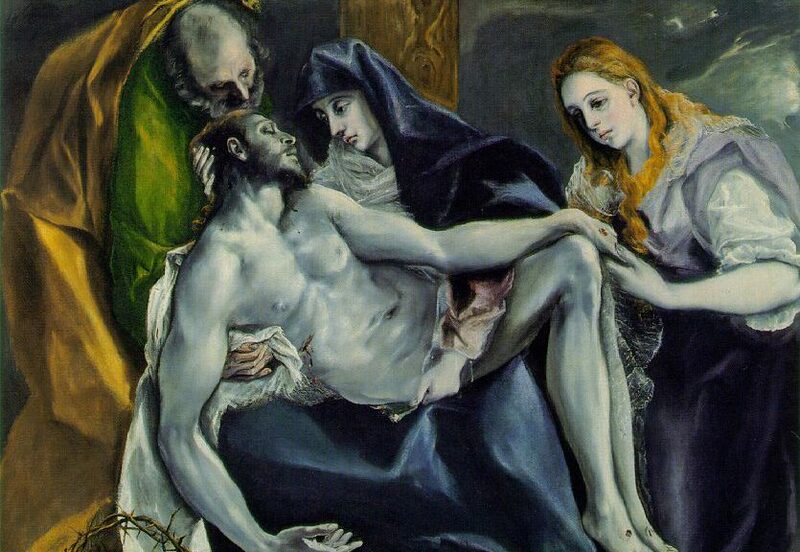 So also, the martyrs died not only for Christ, but for the fullness of the Catholic faith. Every little bit. Did every little bit really matter? Jesus said: “Therefore whoever relaxes one of the least of these commandments and teaches others to do the same will be called least in the kingdom of heaven, but whoever does them and teaches them will be called great in the kingdom of heaven.”—Matthew 5:19. The Apostle John urges the Churches of Turkey to “return to their first love” and the Holy Spirit warns through him that there will be consequences to watering down the faith. Today, the faith is all but dead in Turkey. Similarly, we must avoid any presumption that would lead us to believe that God would “owe us a living,” so to speak, in the Church in the West today. I’ve gone to see Rogue One twice now. What struck me is that all the good guys in the movie die. At least the ones we learn by name, perish. They are either blasted or nuked by the Imperial forces. Why? Because the Rebel Alliance chose to sacrifice their lives for one single piece of information: The digital plans for the DeathStar. Americans usually don’t like movies where all the good guys die. Europeans can handle it. But Rogue One took a risk with us Americans in wiping out almost every significant member of the Rebel Alliance against Darth Vader and his DeathStar pioneers. Was it a good idea for Lucas Films to force us to watch our heroes die for the transmission of a single piece of information? Yes, because this is how the martyrs of the early Church saw things: The Catholic Faith was worth their blood for every single one of those small pieces of “information.” Yes, they received the courage and charity to die, primarily because they were given grace and mercy by the Blessed Trinity in their hour of agony. Yes, they died out of love of Jesus Christ. But if you look closely, many of early martyrs of Byzantium and the Roman Empire actually died to also maintain the pure deposit of the faith against certain “small” heresies that wouldn’t even be recognized by the post-modern reader. Nowadays, people are taking sides between Cardinals on issues of doctrine that are finally making the mainstream news. The group on the left claims that their Cardinals are pastoral and merciful. The group to the right claims that their Cardinals are traditional. But many traditionalists do not understand just how traditional we are talking. We’re not lining up behind a Cardinal because he dresses like someone at the Council of Trent. We’re lining up behind men who are not only maintaining the Apostles’ Faith but also the blood of millions of “little people” to preserve it. Literally millions. Like Rogue One, many “little people” died to bring us this pure, untouched information. For me to deny any single tenet of the Catholic faith has little to do with the liberal/conservative spectrum. For me to deny any single tenet of the Catholic faith would trample the blood of martyrs like St. Stephen. St. Stephen is known as the proto-martyr because he was the first martyr of the Catholic Faith. St. Stephen proto-martyr is first Rogue One against lawyers’ manmade religion of popularity when St. Stephen presented them with Divine Revelation. St. Stephen was the first Rogue One. He chose truth over the false-peace contained in man’s laws. So also every martyr is a rebel against the kingdom of man; he is a Rogue for God in an enormous community of the Catholic Church. Every one of them played a small part in brining us not only Jesus Christ and His sacraments, but also the full and saving doctrine His Church—a doctrine without which the sacraments would contain no power to live…or to die. This homily is about victory in loss and how good comes from evil in your life. We took these pictures in Rwanda two years ago. In the top picture, the Blessed Mother appeared in Kibeho in 1981 and 1982 in a Vatican-approved apparition. Below, we walk in a Eucharistic procession through the streets that—only 20 years prior— the dead had been macheted in the genocide. Now the King of Life and Love triumphs over death on the streets. 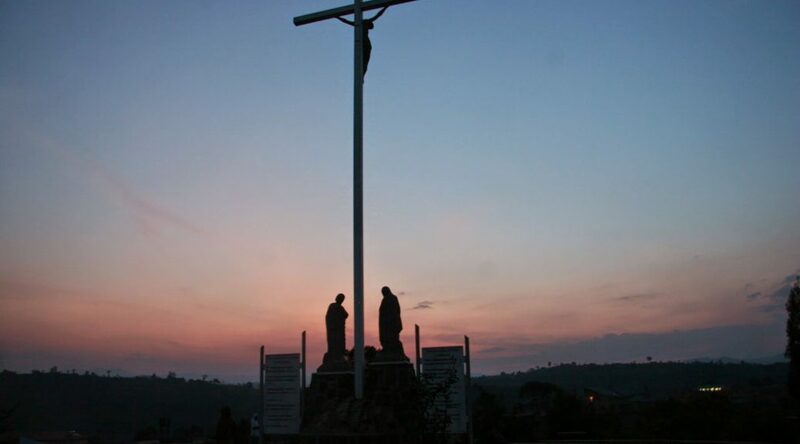 Kibeho, Rwanda, where Mary appeared in 1981 in a Vatican-approved apparition, preaching (among many things) the renewal of the ancient 7-sorrows Rosary. Should God have ended the world when Adam and Eve sinned? 3) Send a rescuer who could transform the human state of suffering into redemptive suffering. If you can think of a fourth option, let me know. In the mean time, notice that only the third option allows for free-will. Because option #3 allows for free-will to continue among both the good and evil people on this blue planet, it is the only option that allows for either love or harming people until the end of time. For example, if a woman is choosing to offer up her suffering for her children after her husband was killed by a drunk driver, she can only choose to unite her redemptive suffering to Christ’s infinite merits of the cross precisely because she lives in a world where someone else can choose to drive drunk. This is why widows must live side-by-side with drunk drivers until the final judgment. This is only possible by the cross. I put the cross in blue for two reasons. The vertical blue bar shows that Mary gave God the one thing He didn’t have: The ability to die. This symbolizes Christ’s incarnation and His approach to us. Secondly, our incorporation into the mystical body of Christ happens in the waters of baptism (the horizontal blue line.) As St. Peter writes, “It is baptism that now saves you.”—1 Pt 3:21. Suffering has little value in itself until it be incorporated into the suffering mystical body of Christ. This happens at baptism, because it is at that moment that we receive all of the merits of the Passion, Death and Resurrection of Christ as a free gift of redemption. The best description of death to oneself, baptism, and this new life can be found in Romans 6:3-11. Death is the cycle to the left. The requirement for new life is: a new life. The gift of the cross is free (gratis) to us at the high price Jesus paid for us in his 17 hours of torture…nay, His whole life lived for us. But, for salvation to be realized, we must cooperate. The cross doesn’t offer an escape from suffering but it does offer an escape from sin, and that part is up to our cooperation with grace in living in our free will as we become transformed, divinized sons and daughters of God. We are then given the chance on this earth to let our sufferings be united to those of Jesus (through Mary) so as to become participators in redemptive suffering. Again, in itself, suffering has no value. But joined to the cross, it helps redeem the world. It helps pull more people out of the cycle on the left to the orange bar on the right. This is all that the old-school (and now new-school) nuns meant when they said “Offer it up.” It all comes from what the Apostle Paul wrote to the Colossians: “Now I rejoice in my sufferings for your sake, and in my flesh I am filling up what is lacking in Christ’s afflictions for the sake of His body, that is, the Church.”—Col 1:24. What is lacking or wanting in the suffering of Jesus? Nothing except my participation. It was 100%, but that 100% continues in His mystical body. As long as sin continues on the earth, so also must the suffering of Christians. It is a gift, not a burden, and it is joined to Christ’s sufferings at the nearest Mass. That is why both the suffering of the Mystical Body and the Mass continue until the end of time. At the final judgment, the left cycle will continue in hell. However, the right trajectory will become heaven. Here on earth, both cycles have to suffer. So, if you have your choice between the devil’s eternal cross and Jesus’ temporary cross, why not avoid sin and choose the pattern to the right?